Here in Florida for the last several days it's been raining a heavy downpour just about every afternoon, so everything is lush and green and all the brightly colored flowers are in full bloom. The days are getting longer and summer (and the blazing heat!) is fast approaching. 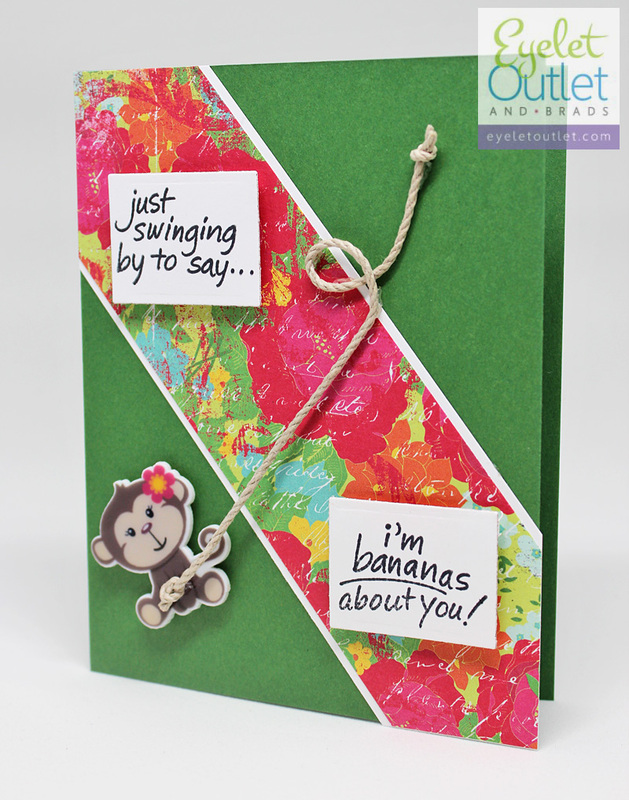 My card for today brings the bold florals and bright greens together with a fun and festive little swinging monkey as a focal point. Fast and cute and suitable for just about any happy occasion! 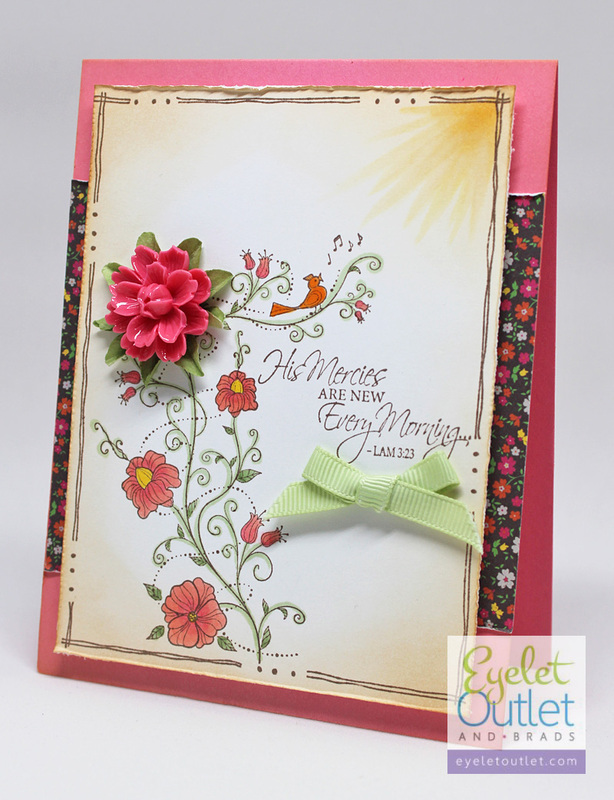 I love it when a crafty plan comes quickly together, and Eyelet Outlet certainly makes it easy! Hello everyone! 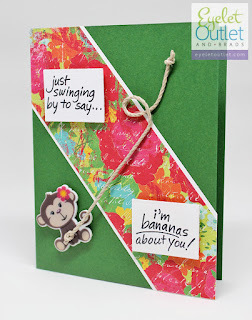 I'm here with a card designed using a combination of products from Eyelet Outlet and Rubbernecker Stamps. 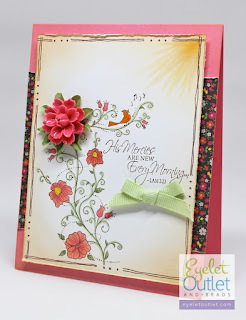 This verse from Lamentations just makes me happy, especially when combined with a pretty flower, a sketchy frame and a cute little birdie just singing its heart out to greet the morning sun!